Visiting Walt Disney World usually involves a lot of walking. For those unable or unwilling to walk for long periods of time, an electric scooter or Electric Conveyance Vehicle (ECV) may be a convenient solution. Walt Disney World provides a very friendly environment for those who need to travel in ECVs. From careful placement of ramps and elevators to Cast Members who know how to help, Disney makes it possible for folks in ECVs to have a great time on vacation without feeling like they don’t belong. 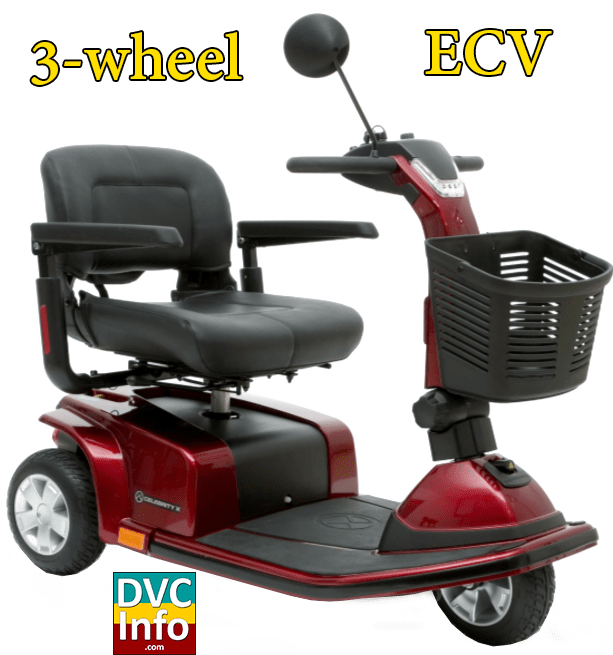 Some people are initially hesitant to use an ECV, as they think they would be embarrassed. There is no need to be embarrassed to use something that will make getting around Walt Disney World easier and more enjoyable. There is no need to get anxious that you’re going to slow down everyone on a Disney transportation vehicle while you board or disembark. A limited number of ECVs are available for rent on a first-come, first-served basis at any of the theme parks or the Downtown Disney area. They currently charge a daily fee of $50 plus a security deposit. The security deposit at the parks is only $20, while it is $100 at Downtown Disney. Vehicles may NOT be reserved and quantities are limited, so Disney suggests you arrive early. To repeat: NO RESERVATIONS ARE ACCEPTED. ECVs are available on a first-come, first-served basis. Guests must be 18 years of age to operate and a photo ID is required to rent vehicles. The maximum weight is 450 pounds. If you are visiting multiple parks on the same day, be aware that ECVs rented from Disney cannot be removed from the theme park in which they were rented. 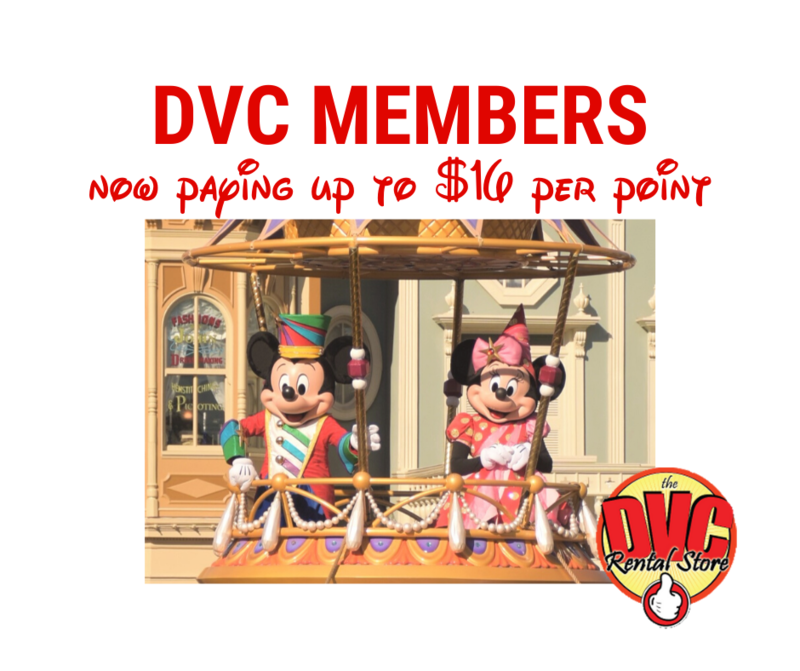 When visiting more than one park per day, simply return your ECV to receive your deposit. Then, present your rental receipt (plus the deposit) at the second theme park to secure a replacement ECV (based on availability) at no additional charge. Disney has selected five ECV rental companies as approved vendors. This means these companies are the only companies allowed to drop off rentals at the front desk/bell stand of a Disney resort for them to be held for guests. Guests using these approved companies will also be allowed to return their rentals to their resort’s front desk when they check out. Not having to be present during drop off or pick up is an advantage of using a vendor on Disney’s approved list. Another advantage of using an approved vendor is that if your ECV breaks down, an approved vendor can enter the park and deal with it. 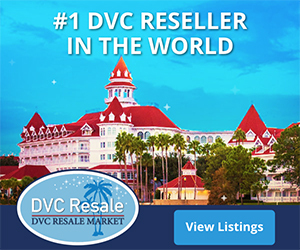 Vendors that are not on Disney’s approved ECV vendor list must arrange specific meeting times with their customers and deliver the rental in person. Likewise, when the rental is completed, the guest must make arrangements to deliver the scooter to the company. Disney will not provide a courtesy hold/storage for vendors not on the approved list. Walker Mobility is one of the best known of the vendors not on the approved list. Most vendors provide delivery and pickup at your resort hotel free of charge. Guests are also invited to bring and use their own ECVs throughout Walt Disney World Resort. The ECV you bring must be no larger than 32” x 48” for use on Disney transportation. Most people recommend models with 3 wheels instead of 4, as they are easier to maneuver. You should ensure the model you rent is able to handle your weight. It’s pretty simple to get the hang of using an ECV. Take some time to practice operating it before heading off – including learning how to backup. You could injure yourself or others if you’re not careful. One thing to look out for when operating an ECV is other people cutting in front of you – especially children. If you go at a busy time, it can be a pain to drive in the crowds, as you need to be very careful not to hit anyone with your ECV. 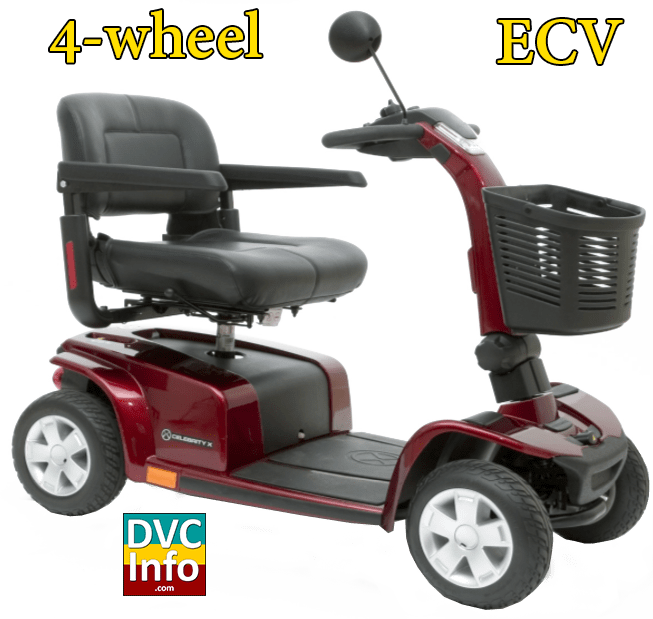 Careless ECV drivers hit others with their vehicle, and careless pedestrians put themselves in the path of careful ECV drivers – collisions do happen. Other people will just stop in front of you, blocking your forward progress. You may need to get their attention as politely say “excuse me”. You can take an ECV on Disney transportation (bus, monorail, and most boats). ECVs cannot get wet. If they get wet, they might stop working and will need to sit and dry out. If it rains, take shelter under some covered area. Or, cover the electronic controls on the steering column with some plastic and keep a towel handy to dry off the seat. A fully charged ECV should last a day, except perhaps if you’re a park commando – in which case you might want to bring along the charger. The age of the battery in the ECV will also impact how long it will go before needing a charge. There are outlets in the parks. It’s nice to have the charger with you – just in case. Each scooter comes equipped with a “key-switch”, much like an automobile. Always remember to take your key with you (along with any personal belongings) when leaving your scooter unattended (such as when visiting a restaurant or an attraction).